Woah! What. A. Book. Literally speechless, it’s that good. I was only a few chapters in when I realized that this book is honestly so good. It hooks you in from the beginning. Some chapters give an intimate look into the life of the unforgiving, horrific serial killer known as the ‘Four Monkey Killer’, or the 4MK. I found these chapters particularly interesting because they were written from the killer’s perspective and were truly frightening, as they scared me to the core. It’s the kind of novel in which you honestly have no clue what the ending is going to be. Usually, when I read crime thrillers, I have a pretty good idea of what the ending will hold, but honestly I had no clue what was going to happen and I’m not complaining. If you’re a fan of cliff-hangers at the end of chapters, as I am, this one is for you. 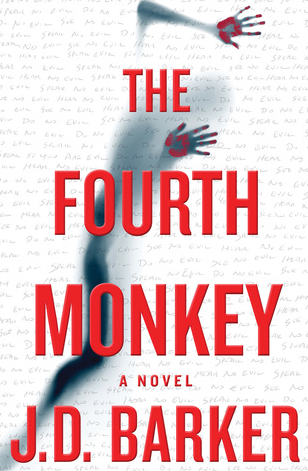 The Four Monkey Killer has been killing people for the past five years. Not one person can identify who the killer is, not even the investigators. However, there’s a break in the case when a man is killed by a bus. He was carrying a black box tied with a white ribbon, which is the Four Monkey Killer’s signature. Additionally, in his pocket, a diary is found and in this diary, a psychopath’s life can be unravelled. Sam Porter, the lead investigator on the 4MK case, begins to read this twisted journal and the reader also gets a glimpse into the diary entries. The chapters alternate between the investigator’s perspectives, the victim’s perspectives as well as the journal entries. I believe that having the journal entries as separate chapters made the book all the more interesting. These entries were chilling, sick and included many twists and turns. In fact, the whole book was full of twists and turns, and the ending will seriously leave you speechless. I feel like I say that for a lot of books that I read, but one thing is for certain. This has been the creepiest, most intriguing page-turner I have ever read! This novel is definitely for adults and not for the faint-hearted, as it’s quite brutal! I had a strong liking for Sam Porter, the lead detective. He’s an intelligent, fast-thinking individual who has a good sense of humour. Although he is battling his own demons throughout the novel, he is strong and hardworking. He is always focussed on the end goal and will do whatever it takes to get there! Also, I really loved how there was a huge focus on the journey to finding the killer, rather than the procedural police work. This kept me hooked on the book, and I found myself not being able to part from the book until I finished the last page. I had a lot of trouble writing a review for this novel because I didn’t want to spoil the book for anyone, but nonetheless, I hope you enjoyed it. Leave a comment below if you’ve read this book already or if you’re going to add it to your TBR list. Happy reading! This was quite an interesting read. What drew me to read this novel was its cover. I thought it looked quite eerie, yet very intriguing. I have also heard many good things about this novel, along with Claire Douglas’ first novel, namely The Sisters, which I have yet to read. I saw Local Girl Missing on the ‘fast-lane’ shelf at my local library, so I thought that I might as well give it a go. I read it in less than two days, mostly because I didn’t really have anything else to do during that time. I enjoyed it, but found myself getting REALLY annoyed at some parts. I’ll get more into that in a bit. Sophie Collier vanished many years ago, yet no one truly knows what happened to her. Her family and friends have never had any closure. Until remains are found near an old pier of her small town. Her brother, Daniel, informs Sophie’s best friend, Frankie, of these remains that have been found. He tells Frankie that he believes that someone killed Sophie all these years ago, and he wants Frankie’s help in getting to the bottom of his sister’s disappearance. Although reluctant to go back to her hometown, since it holds so many bad memories, Frankie decides to head back to the town in which she grew up to finally put her mind at ease and figure out what happened to her best friend. Once she’s there, she has many out of the ordinary experiences. First off, she feels incredibly isolated yet she also feels as though she’s being watched. Who could it be? Why would someone be watching her? Frankie, with a propensity to compartmentalize, realizes that her comfy, luxurious lifestyle might be at risk now that she has step foot back into her hometown. Secrets. Secrets. Trust. Secrets. Jealousy. Oh, and even more secrets. That’s basically what this book is FULL of. The chapters alternate between Frankie’s perspective and Sophie’s diary entries. I liked that this book showed both perspectives because I feel as though the reader gets to see that there are always two sides to a story. I found myself getting VERY annoyed by Frankie. She just seems SO pretentious at times, and needy. The reason as to why I gave this book 3/5 stars is solely because of how annoying Frankie was. Now, I realize that her character was made to seem this way for a reason, but I couldn’t help but cringe at Frankie’s constant whining and I honestly felt like putting the book down on more than one occasion. Other than that, there were many fantastic twists and turns, which are very important in a good thriller / mystery novel. I felt satisfied when I put the book down in the end as it met my expectations, but definitely did not exceed them. Until next time….Happy reading friends! I have heard many great things about this author, and as this was my first Meg Gardiner book, I was definitely not disappointed! Unsub was intense and frightening. The vivid descriptions made this novel beyond terrifying. It is so well-written that I was at the edge of my seat the entire time. The book was detailed, yet it got to the point and exceeded my expectations. Caitlin Hendrix has been haunted by the Prophet since her childhood. The Prophet is a relentless serial killer who ruined Caitlin’s father’s life, who was the main investigator on the Prophet case in the 1990s. The Prophet was never found at the time, and soon disappeared from the Bay area. The Prophet is an UNSUB, which means he’s an unidentified subject. He is an intelligent, clever individual who leaves distinct messages behind at the crime scenes. 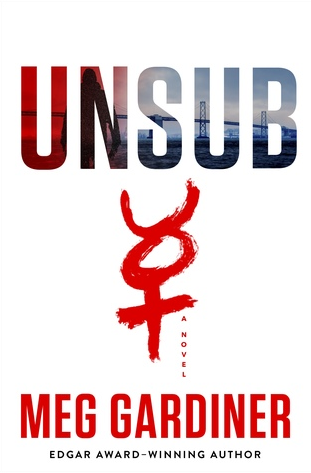 He leaves written notes, as well as the Mercury sign (as seen on the cover of the novel). Now 20 years later, the Prophet has reemerged, and Caitlin is part of the investigation team of this case. The Prophet leaves behind a string of brutal murders. Is the real Prophet from 20 years ago back? Or is it a copycat? Caitlin must race against the clock to capture the serial killer before he strikes again. Will the Prophet ruin Caitlin’s life, just like he ruined her father’s? Who is the Prophet? There’s just something about this book that is so realistic. The descriptions, the relationship between the characters may explain how realistic it is. This novel reminded me of a few crime thriller shows that I have watched. If you’re into these kinds of shows, the book will definitely be of interest to you! This novel was fabulous, and it was suspenseful until the last page. It’s a wild ride all the way to an outstanding conclusion. I give it a solid 5/5 stars! This is definitely not my last Gardiner book! Meg Gardiner is an award-winning author, and her writing focuses on crime. She attended Stanford University where she received a BA in Economics, and she later studied Law at Stanford University. She practiced law, and later began writing thrillers. Her Evan Daley books are her best-known novels. For more information about Meg Gardiner, check out the Official Website of author Meg Gardiner. WOW! I am 100% speechless! 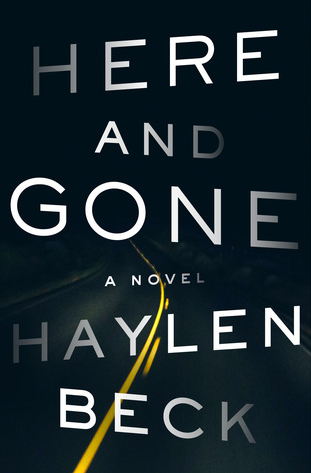 Here and Gone is an action-packed, page-turner that takes the reader on a thrilling ride! It’s suspenseful right off the bat and I can assure you that you will most definitely be intrigued right from the first chapter! Haylen Beck did a wonderful job crafting a novel that keeps you reading, as you simply can’t put the book down! It’s that good! 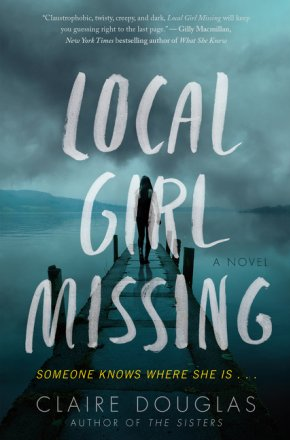 The novel begins with Audra Kinney trying to get away from her husband with her two young children, Sean who is ten years old, and six year old Louise. Audra’s life has been rough, she’s had a messy past, and she needs a break. She just wants to get away. Her destination is California. She stops at a convenience store to get some water, but little does she know that she is about to be in a whole load of trouble. As she leaves the store, she realizes that she’s being tailed by a police cruiser. Everything is about to turn upside down. A bag of drugs is found in the trunk of her car once the police officer pulls her over to the side of the road. Next thing she knows, she’s being arrested, her children are being taken away, and her car is being towed. When Audra is in a jail cell, she asks the officers where her children are. The two officers, who were on the scene when she was arrested, claim that there were no children in her car when they arrested her. In fact, they are adamant that no one else was in the car with Audra when they arrested her. Audra begins to question herself. Is she going crazy? Then, when a new character is introduced, she realizes that she is in fact not crazy at all. Something far more sinister lurks in the distance. Why are the cops lying? Will she ever find her children? Are they actually, truly, missing? I found a few themes to be quite prevalent in this novel. Corruption, the hunger for money, the effects of abusive relationships on an individual as well as how strong a family bond is, are re-appearing themes. If any of these themes spark your interest, I highly recommend that you read this book. The characters complement each other quite well, and in the end, the conclusion is bittersweet. I finished this book in less than two days, so you must have figured out that I enjoyed it! I give it a well-deserved 5/5 stars! Just fabulous! Haylen Beck, more commonly known as Stuart Neville, is an internationally recognized crime writer. He has won many awards, such as the LA Times Book Prize, and his novels have even made an appearance on the best-of-year lists in the NY and LA Times! Read more about Haylen Beck by clicking here. I would like to thank Midnight Ink for approving my request to read and review this novel! This was made possible through NetGalley! Now, I will honestly review this book which will be published in February 2018! First off, it took me a few chapters to actually get into the book. To be quite honest, I was not hooked from the start. However, once the pace started picking up, I thoroughly enjoyed the twists and turns. The cover of the novel is what enticed me, as well as the summary of the novel. 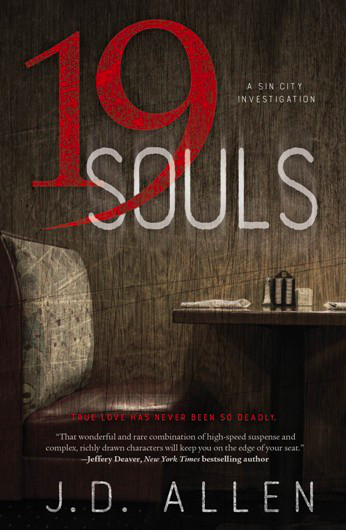 19 Souls by J. D. Allen is a fast-paced thriller, and a great start to the Sin City Investigation series. Sophie has been obsessed with Daniel since her childhood. But due to Sophie being far younger than Daniel, he always brushed her off. That hasn’t stopped Sophie. She will do whatever it takes to be with Daniel, even if it means killing anyone who gets in her way. She has had difficulty locating Daniel for a few years, so she hires Jim Bean, a private investigator, to help her find him. She has to make sure the PI doesn’t get suspicious of the reason as to why she wants to locate Daniel. So, Sophie tells Bean that Daniel is genuinely missing, and that he owes his mother a lot of money. How does she go about doing this? She pretends that she’s Dan’s sister by killing his real sister and taking her identity. Sophie tells Jim Bean that Daniel is a drug addict and she wants him to go to rehab, rather than jail, so as to ensure that Jim does not get the police involved. Sophie’s hope is that Jim will lead her to Dan, at which point her sinister plans will take heed. But the story can’t end there……… right? Inevitably, Jim figures out that Sophie is not Dan’s real sister, and that she actually means to do harm. What does Jim do to protect Dan? Can he protect him from a psychopath killer? What is Sophie’s next move? I found Jim Bean, the private investigator, particularly interesting. He is a clever, fast-thinking investigator, which I admire. Sophie, on the other hand, is a manipulative woman who is in fact very intelligent and is at odds with a voice inside her head throughout the novel. She argues with this voice, and has discussions with it regarding the rationality of her actions and decisions. This ‘voice’ added another dimension to Sophie’s character, which definitely made the novel more suspenseful. Will she give in to the voice’s demands? In conclusion, I definitely enjoyed this book and give it a well-deserved 4/5 stars (as seen above)! You’ll love the ending, I am sure! Make sure you get yourself a copy once it comes out on February 8th, 2018! Thanks again to NetGalley & Midnight Ink for an advanced digital copy of this novel. 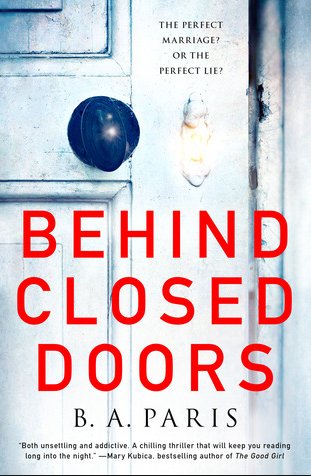 Behind Closed Doors was truly a captivating novel. It hooks you from the start and doesn’t let go. It leaves you speechless. B. A. Paris once again wrote a novel that made me stay up late at night to read! It is a very well-written mystery thriller with lots of twists and turns that make it all the more exciting and it honestly messes with your mind, as it’s quite horrifying! The book is written in such a way that the chapters switch between the past and present of the married couple’s relationship, and it flows quite nicely. I honestly don’t know how to write a summary for this novel without spoiling it, but nevertheless, I’ll give it a go. The story begins at a dinner party hosted by Jack, a successful lawyer who has never lost a case and his wife, Grace, who is a stunning, gentle home-maker. To the outside world, they have the perfect life as they live in a beautiful house and they go on vacation often, and it also seems as though they have the perfect marriage, but looks can be deceiving, as we all know. Why are Jack and Grace inseparable? Why does Grace not have her own cellphone? Why does she not have a job, even though she is a very intelligent woman? I found that I did not have to read between the lines to understand what was going on in the book because everything was black and white, or in other words, it was unambiguous. However, this led me to believe that some parts of the book lacked depth, and I kind of wished that there was more to the conclusion of the book, which was my only issue with this novel. Other than that, I had high expectations for this book after reading The Breakdown by B. A. Paris, and I’m happy to say that my expectations were met! Great novel, by a very talented writer! I know my review is rather short for this one, but honestly, all I can say is that if you’re into psychological thrillers, this one is for you! Let me know if you end up reading this one or if you have already read it! My oh my, what a book! The Breakdown by B. A. Paris was such a suspenseful read that I found myself staying up until the late hours of the night with my eyes glued to my Kindle. I honestly cannot get over how intriguing this book was! I got the chance to read an advanced digital copy through NetGalley, and I would like to extend a huge thank you to St. Martins Press for approving my request to read this book. I have yet to read Behind Closed Doors by B. 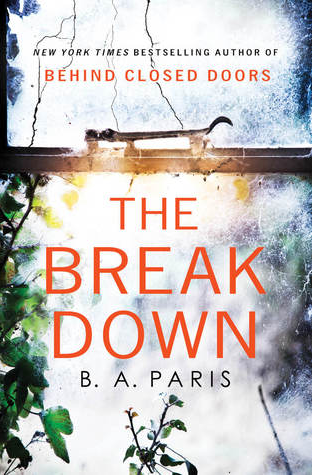 A. Paris (although it is the next book on my TBR, so stay tuned for a review coming very soon), but I must say The Breakdown truly impressed me. I would say that I’ll take a break from reading after one chapter ends, but I later realized that I’d read multiple chapters, with no intention of stopping. That just goes to show how gripping this novel is! Now, let’s get a bit into what the book is about! This novel follows Cassandra Anderson, a married woman, who feels guilty for not stopping and helping a motorist, whom she saw on the side of the road one stormy night. Would you stop on the side of a secluded road to help someone who was sitting in their unmoving car in the middle of a thunderstorm? Well, Cassandra does not stop, out of fear that it may be a trap and someone will steal her car or worse, but once she finds out, on the news, that this motorist was actually murdered that same night on the same side of the road, she feels incredibly guilty and responsible for the woman’s murder. Ever since the murder, Cassandra starts having problems. She keeps thinking about that stormy night, yet she also begins forgetting things such as where she parked her car, and what she bought from the online shopping channel, as well as the dates on which she said she would meet up with her friends for dinner. At first, I found her forgetfulness to become quite repetitive and rather annoying, but I later came to find out the reason as to why she is forgetting all these things, and that is when I no longer found it repetitive. The book began to get really interesting once she started receiving calls from a silent caller! Although, I would have to say that right from the start, The Breakdown is fast-paced and can easily be read within a couple of days. B. A. Paris, the author, did a wonderful job describing certain scenes of the novel that I could actually clearly picture exactly what was going on. I find this to be incredibly important as I want to be able to feel like I genuinely know the characters, and what’s going on in their lives. Additionally, I found the characters in The Breakdown to be amazingly captivating, which added immensely to the storyline. I shouldn’t say more because I’ll give away too much of this book! Let me just say that you will NOT expect the ending at all!!! It will literally leave you speechless! Everything comes together at the end, and I’m still thinking about the novel, hours after I read the last page. So clearly, I highly recommend this novel! It was just published yesterday (July 18th, 2017), so you must get your hands on a copy whenever you can! Please leave a comment regarding what you thought of this book! I would love to discuss it, and thanks for stopping by!